A most picturesque part of Victoria, located in the east, just over an hour away from Melbourne, you'll find the Yarra Valley. Besides being home to one of our great wine regions, it's also where you'll find the Yarra Valley Dairy. 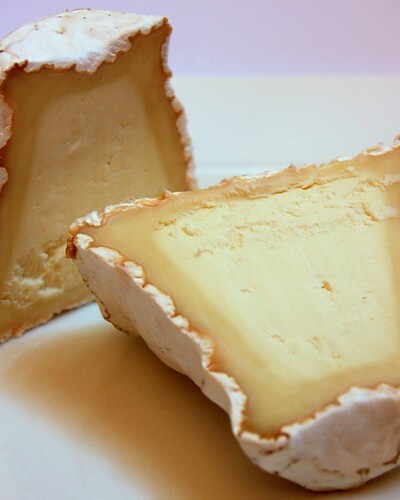 Yarra Valley Dairy was established in 1996 and produces a range of cows and goats milk cheese that are made in a French/Italian style using non-animal rennet. 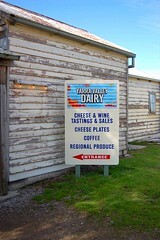 Still located in a hundred year old shed, the dairy's retail side has changed somewhat since my last visit. There used to be quite a nice cafe but it has downsized considerable to make way for more cheese making facilities. 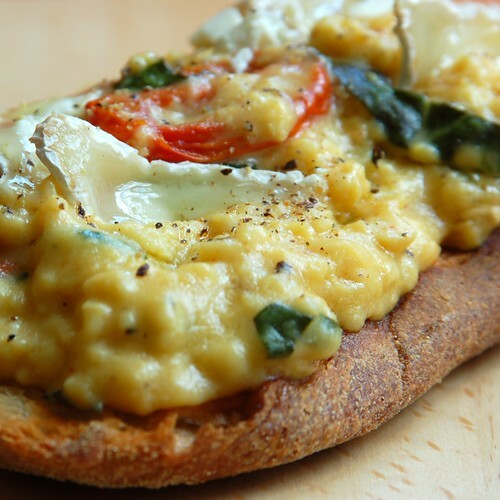 A viewing window now enables you to get up-close and watch the cheese-making process. They have added a new wine hub which features wines from some of the smaller wineries that don't yet offer cellar door facilities . Cheese tastings are still available and you can sit back and relax with coffee or if you're in need of a larger cheese fix, platters can be purchased. 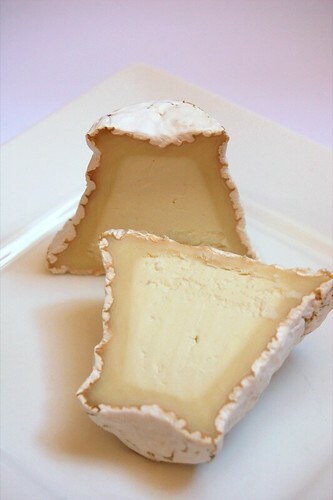 Grabbetto is a curd style goat's cheese, matured between 2-4 weeks it's noted for its unusual truncated cone shape. On the left is the young ashed Grabbetto and to the right, the mature version, in which white mould has developed to form a thick skin. The ash makes a great contrast to the pure white curd - soft and delicate, very easy to cut. The mould is still quite soft to the touch, when cut the maturation process is visible. 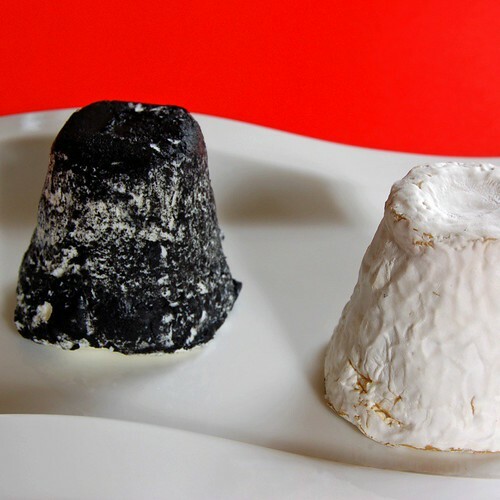 Both these cheeses should appeal to the goat cheese novice and veteran alike.